The data center landscape has changed drastically over the last 5-10 years. 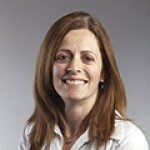 Companies are relying on cloud data centers to offload key applications, colocation data centers are being used to house IT equipment once housed on-premise, key applications are moving to the “edge” due to bandwidth and latency issues, and IT equipment continues to advance in performance capabilities. Add in business mergers & acquisitions, and you likely have a collection of partially utilized data centers on your hands. What does this mean? You’re probably hearing discussions about the need to consolidate the sites you have left to adapt to this new hybrid environment – to drive operational cost savings and reduce energy expenses. Here’s my take on five best practices that can help ensure your data center consolidation efforts are effective. It may seem like an obvious place to start, but the objectives of the project must be clear. Many early consolidation projects focused on goals like ‘shut down 50% of data center sites’, or ‘reduce the average PUE of your fleet from 2.0 to 1.4’, for example. But arbitrary metrics like these may or may not meet the intended outcome, which typically centers around cost savings (energy, equipment maintenance and operations) and reduction of carbon footprint. Data center consolidation objectives should not only be measurable, but also meaningful and justified. A formal assessment of all existing sites is necessary to get a point-in-time snapshot of the data center fleet and the business applications they support before you can determine what you hope to achieve through consolidation. It’s also important to think about future needs. Maybe it’s feasible to consolidate to 50% of your data centers today, but if you anticipate significant growth in IT requirements, it may be short-sighted. Or on the contrary, if you intend to shift more towards an outsourcing strategy, you may need to plan for a significant decline in IT load. Choosing which data center(s) will become the “receiving” data center(s) in a consolidation project can’t happen effectively without having a solid understanding of each existing sites capabilities – in terms of capacity (kW), density (kW/rack), and space capacity (sq ft or sq m). Determining the kW capacity requires an understanding not only of the bulk power and cooling capacity, but also the power distribution and air distribution capacity. If you have sufficient bulk power and cooling, but insufficient distribution, there are often “low hanging fruit” changes that can increase that capacity like implementing air containment or upgrading the rack-level power distribution. Related to capacity is the available space, which is tied to the density capability. The higher the density deployed, the more space that becomes available for incoming IT equipment. My colleague Patrick Donovan & I wrote a white paper that assesses the capacities in a consolidation project that goes into this topic in greater detail. See this white paper on what to do with an aging UPS, that discusses these points in greater detail. There are some unintended consequences that may occur when making improvements to a data center. For example, implementing server virtualization is a good thing and reduces the IT load, but it results in the PUE getting worse (since IT load is a key driver of PUE). This may be an obvious point, but you should still do whatever is feasible to reduce the IT load, despite the PUE metric looking worse. Another example is idle servers. Decommissioning them reduces your IT load and may make your PUE or data center utilization look worse, but in the end, it’s helping to reduce your energy consumption by taking loads offline that are doing no useful work. In fact, I just read an article about how the Federal government’s DCOI program is revisiting their metrics. This is a great indication that consolidation/improvement projects are headed in the right direction. One last point about metrics. If you can’t measure it, you can’t manage it. It’s important that the right measurement systems are in place to be able to track a baseline and the improvements made. Check out this guide to metering for PUE. IT load and cooling are the biggest energy consumers in the data center, so focus improvement projects there. 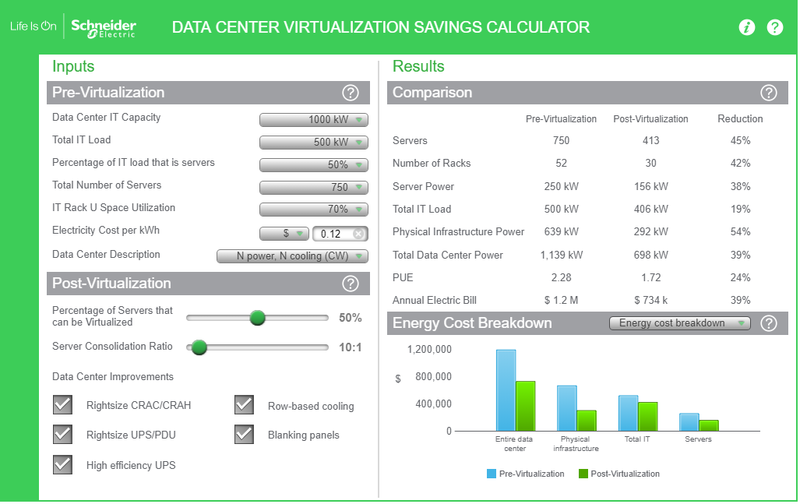 We have a Virtualization TradeOff Tool that demonstrates how much energy can be saved through server virtualization. The tool demonstrates how improvements to the physical infrastructure will further reduce your energy bill. Focus on things like adding aisle containment and blanking panels/brush strips, or rightsizing your CRAHs (turn off unnecessary ones once you’ve improved the air distribution in the space). An effective way to prepare for consolidated loads is to plan at the pod-level. By this I mean a set of racks with its own power distribution and cooling distribution. It has a predetermined rack power density capability and overall capacity capability. Pods can be added to support new loads and/or displace existing infrastructure, and focusing at the pod level allows for the data center to evolve over time, as new loads (potentially higher density) come in, without interruption to existing pods. Our team also has a paper on this topic of deploying high density pods in a low-density data center. I hope this gave you a good starting point for your next consolidation project. Bringing these topics up on your planning meetings will show you’re thinking through the project in a comprehensive manner.